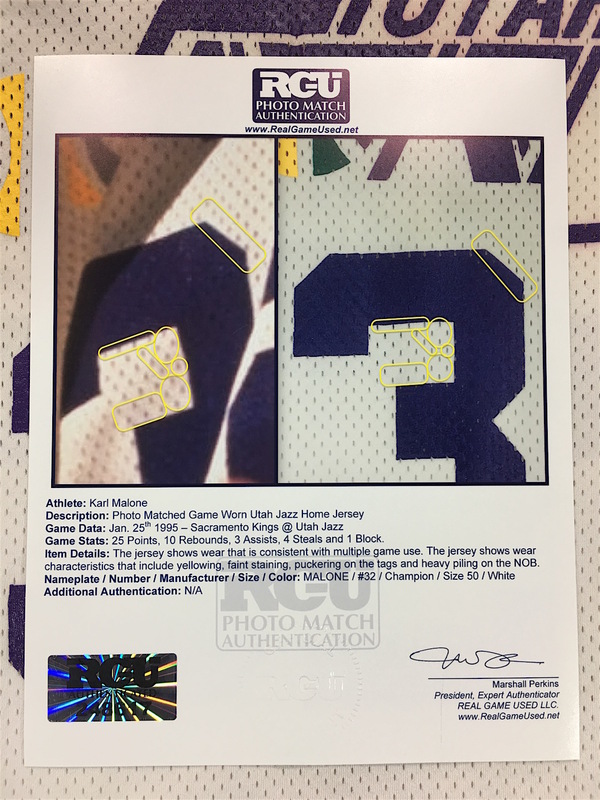 This is one of only two documented photo matched game used Karl Malone jerseys in the hobby. 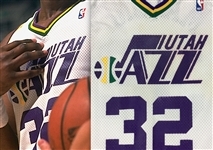 The jersey is conclusively photo matched to the 1994-95 NBA season. 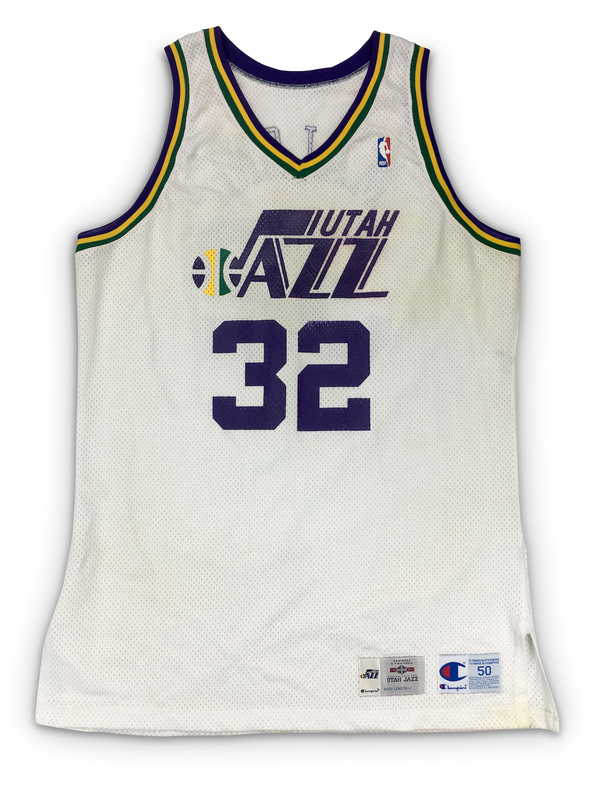 The jersey shows incredible multiple game wear which includes staining, yellowing, piling on the NOB, deodorant stains and more. 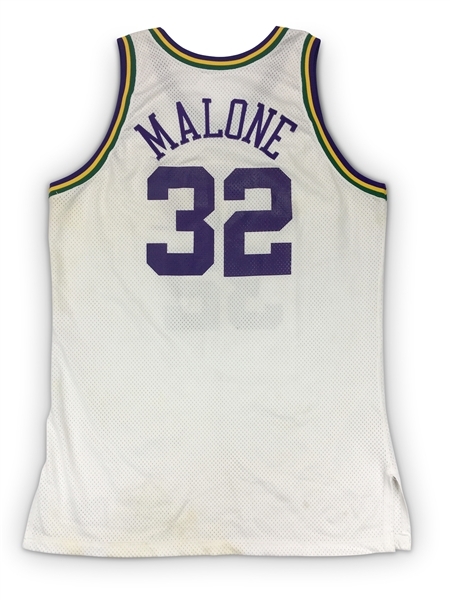 Malone is an NBA legend with 2 NBA MVP awards and 14 NBA all-star appearances. Game Stats: 25 Points, 10 Rebounds, 3 Assists, 4 Steals and 1 Block. 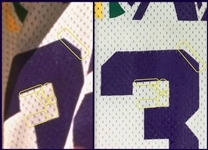 Jersey Specs/Tags: Champion / Size 50 / Length +4"
Authenticity: RGU Photo Match LOA.